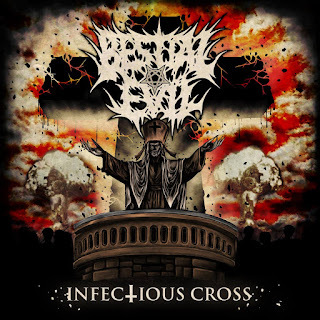 Another day, another death metal band, this time in the form of Bestial Evil, a truly and wonderfully demented act from Baltimore. A band who can only be described as wonderfully chaotic there is a certain visceral and magical darkness to their sound. These songs, while usually rather short and to the point drive home their goals time after time and show us that this is a death metal forced to be reckoned with. The controlled madness of their sound is stunning, and proves that their self applied label of "Lashing Death Metal" is totally accurate. I think when you look at a band who have the sort of logo and general aesthetic that Bestial Evil do you automatically expect something a little muddy and amateurish. You don't really anticipate things going too far beyond demo quality and basic songwriting. 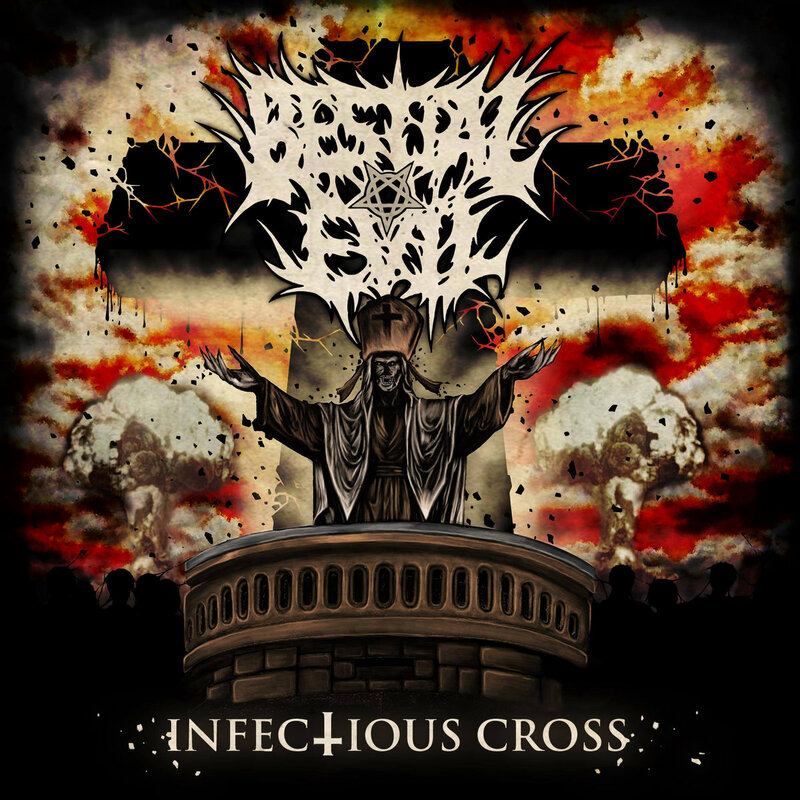 However -Bestial Evil have blown me away. Their songs are wonderfully intense, their chugs vicious and the vocal performance surprisingly colorful. In many ways Bestial Evil feel like a more technical and angrier version of Cannibal Corpse. The best part about this record is that it is to the point - there is no room for fat on Infectious Cross an this album is all the better because of it. It's easy for death metal fans to fall in love with the chunky and devastating power behind Infectious Cross. This is an album that nicely locks into the death metal aesthetic and stomps forward with the same otherworldly intensity that so many of Bestial Evil's peers wish they had. There is a demented intensity at play here and Infectious Cross will have you coming back again and again. Not just because it hints at great things to come but because it's the sort of tight that demands being picked apart.